SKU: N/A. 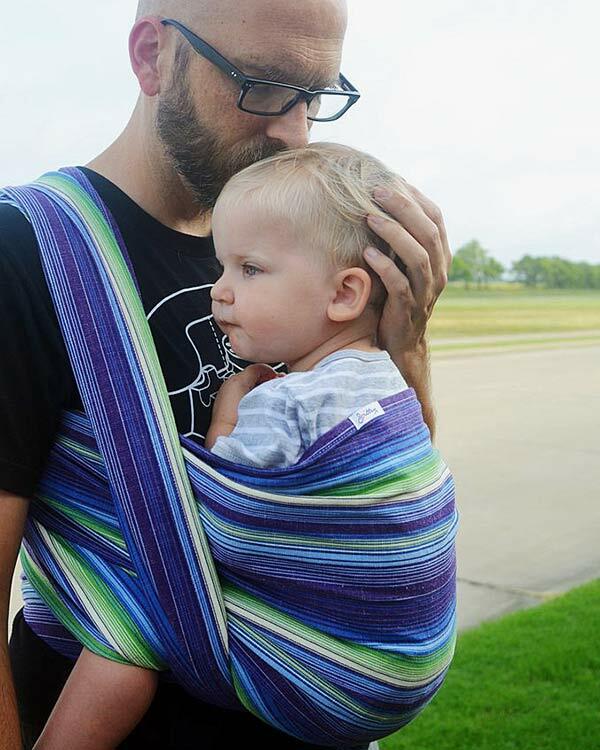 Categories: 100% Cotton, Affordable Woven Wraps (under $130), Blue Wraps, Featured Products, Green Wraps, Multi-Color Wraps, New Wrap Designs, Purple Wraps, Search by Design Style, Search Wraps by Fabric Content, Smitten Wraps, Stripes, Supportive Toddler Wraps, Woven wraps for Dads, Wraps by Brand. The beautiful colors in Smitten Rhonda’s Blue Bonnets are made from skinny stripes of cream, pale blue, dark blue, light green, dark green, and dark purple. 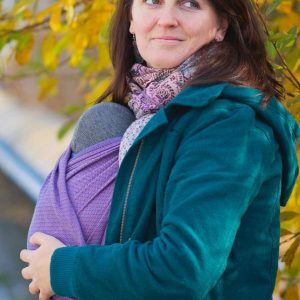 You’ll love the comfort and the beauty of this wrap! Smitten Rhonda’s Blue Bonnet is first of a theme for Smitten with Wovens. This wrap represents the colors of the Texas state wildflower: the blue bonnet. A fan designed the wrap which is named after the designer’s mother-in law. 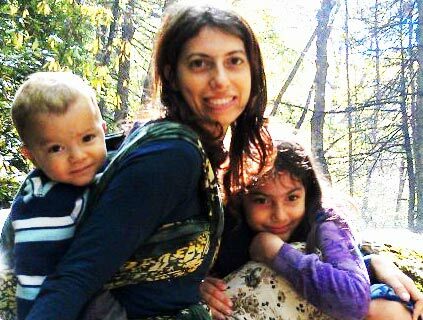 Rhonda was a Texas native who loved her state and her community. She was a founder and president of the South Texas Women’s Forum and served on the executive board of the YWCA. Smitten Rhonda’s Blue Bonnet wrap is made with a new weave that has the durability of canvas mixed with the flexibility and support of a woven wrap. 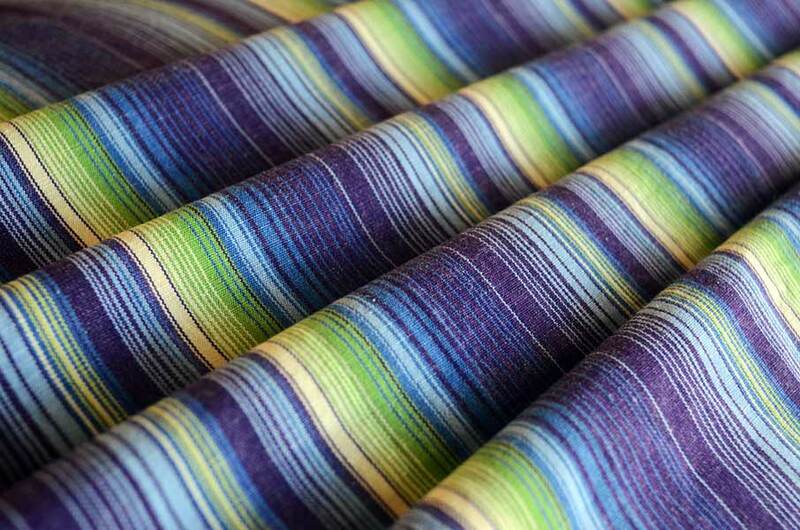 In order to keep some grip to the wrap, Smitten used a textured weft yarn with variations in the thread’s thickness. The diagonal stretch has a spring in its step and easily pulls your baby close! Pull-resistant, this weave makes Smitten Rhonda’s Blue Bonnets a workhouse wrap that doesn’t have to be babied. This could be your go-to wrap for parking lot wrap jobs! 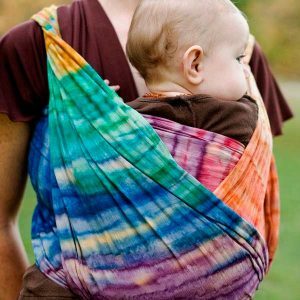 All Smitten wraps are wide at about 29-30 inches after the first wash. As a result, you will have plenty of width as your baby grows. 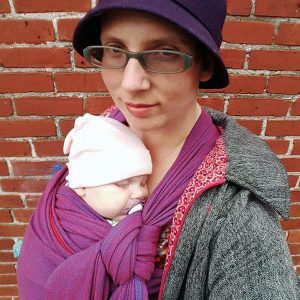 So Smitten Rhonda’s Blue Bonnets wrap can serve all of your babywearing needs from newborn through preschool! 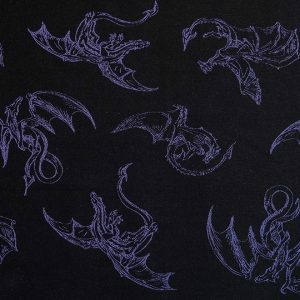 Smitten Rhonda’s Blue Bonnets is a medium-heavy weight wrap at approximately 265 g/m² pre-wash. G/m² stands for grams per square meter (sometime shown as gsm), a measurement for fabric weight. 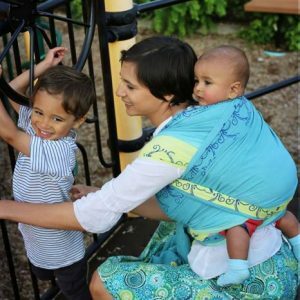 You will be comfortable as even your heavy baby or toddler is supported by this strong wrap! This wrap will need some breaking in to get nice and soft. Break in your wrap by . . . using it! The more you use it, the softer it will get. You can hasten the softening by sitting on your wrap when watching TV or driving. 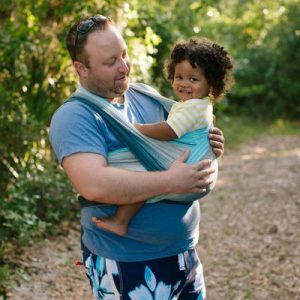 If you have an older child, let them play with the wrap or even use it as a hammock! Try a Front Wrap Cross Carry to learn wrapping. When ready, move on to any of the other wrap carries that you can find tutorials for in my menu. Need help with back carrying or anything else? Email me or post in our wrapping Facebook group, Wrap Club. Smitten Rhonda’s Blue Bonnets, like all Smitten wraps, are packaged in biodegradable packaging and are shipped with a gently used book saved from the landfill. When you are done with the book we recommend donating to your local women’s shelter or mailing it to Books for Africa.